Risk tolerance. It is a vital component to investing. You could say the two go hand in hand with one another. The key to navigating the waters successfully is by understanding what it is and how much you are willing to take on. Investment risk works differently for each of us. That is because our financial situations and goals vary from one another. The amount of risk that you are willing to assume can be far more or significantly less than the next person. Thus, recognizing how much of it you can handle is the first step toward developing a viable strategy for investing. There are a couple of facets to investment risk that are important to consider before you decide how you want to allocate your wealth. Any investment strategy will incorporate a list of factors. They can be divided into two overall categories: the financial and the emotional. Investing can be a real rollercoaster ride. Therefore, you need to figure out if you have the stomach for it in both of these departments. This can help you avoid common investing mistakes in the future. Volatility is part of the game. Knowing how much of it you can take with respect to the return you will be seeing on your investment is the foundation for building an effective portfolio. 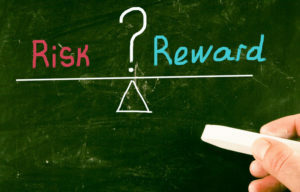 How do you analyze these two categories of risk tolerance? Financial risk tolerance is when you crunch the numbers with respect to your current financial situation and future goals you have set for your money. It is the amount you can stand to lose should your best-laid plans fail to materialize in the manner you expect. Emotional risk tolerance can be a whole different animal. That is because no matter how much money you have to invest you may still feel uneasy about the amount of volatility that comes along with investing in certain avenues. It is possible to have a high tolerance for financial investment risk simply because the money is there. Yet, a low tolerance emotionally all because you do not like the way a certain type of financial product performs. Maybe you are worried about the type of unpredictability associated with such an investment. Now that you know the two sides of investment risk tolerance, you need to understand how it influences your investment plans. Measuring the level of your tolerance in either category has a lot to do with your comfort level for uncertainty in your financial situation. The major factors that can dictate your financial planning include your current age, your annual income and other revenue streams that you can rely upon, and of course, your plans for the future. It all comes down to self-reflection and figuring out what makes you feel comfortable. The amount of money you have in the bank is a good place to start. However, even more pressing is deciding on how much of it you stand to lose and over what period of time. 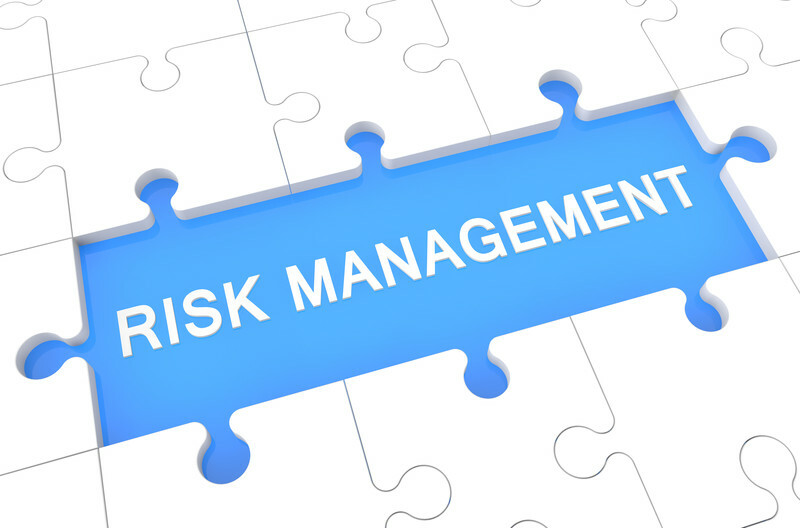 That last part is a critical component in making the proper risk assessments for your financial situation. You have goals and a schedule for meeting those goals. How much of that time you have left is going to play into the amount of risk you are prepared to take on when it comes to building your portfolio. Retirement is a financial goal that most everyone has made a part of their long-term outlook. Yet, the closer one gets to that goal the less likely they are to make decisions that come with higher levels of risk. When your retirement age is quickly approaching, your tolerance for investment risk will probably much less. That is because you do not have the luxury of time to make up the money you have lost should a particular investment decision fail to pay off. On the emotional side of the risk coin, sometimes you just do not want the hassle of worrying about the way certain investments are performing. Nobody wants to lose large sums of money. If you feel that a certain part of your portfolio could threaten to sustain a loss, the anxiety that looms in the back of your head can drive you crazy. It could even start to affect your life in other ways that create enough stress as to be unhealthy and even debilitating if you let it get too overpowering. The other part of the equation that can also be detrimental to your situation is that you may be afraid of taking any financial or emotional risk. Therefore, you might fail to add any investments to your portfolio which have real growth potential for your wealth. While taking on too much risk can be dangerous, taking on too little can be just as damaging to your long-term financial objectives. This is why you need to fully understand the risks that are part of investing. It is important to know which questions to ask yourself as to how much tolerance you have for taking on the types of risk that certain investments vehicles represent. Above all, knowing what you want to accomplish in your long-term financial outlook will help you decide on how to build the right financial strategy. Performance trends of an investment are not the most reliable indication of the direction that particular stock or investment product is going to take once you jump in. 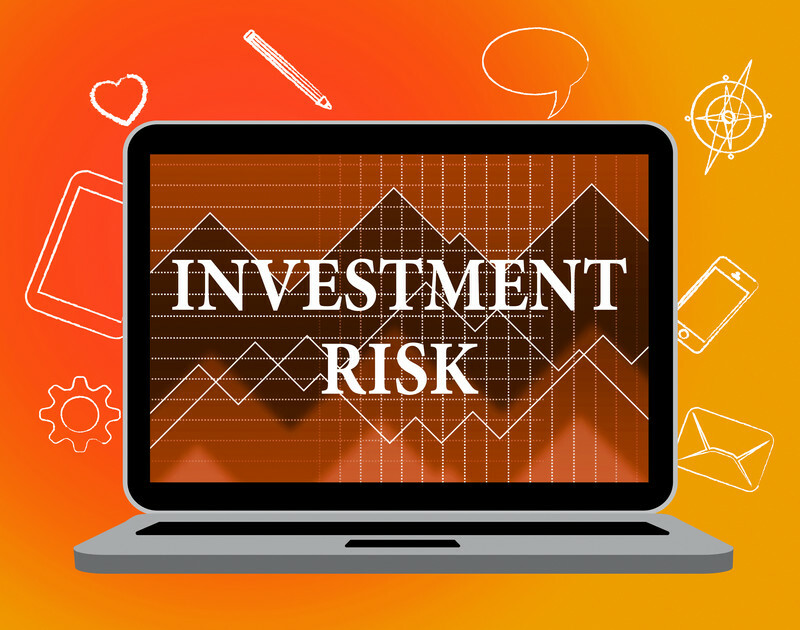 However, there are some viable clues that can help you make informed decisions about the level of risk you could be taking on with your investment. Additionally, you need to determine how much time you need to devote to reaching your objective in that investment. Speaking to a financial adviser about the risks and rewards of any investment can help you maximize your capital by earning a higher return. Time is a big factor. The amount you could see on your returns is often affected by how long you leave your money in that investment. The more time you give it to grow, the more money you may be able to earn over time. If you plan on putting your money into the stock market, the two most popular methods for doing so tend to be stocks and bonds. Both have demonstrated a variety of rates on the return over extended periods of time. Stocks, on average, show a rate of return at about eight percent when you average the highest and the lowest points that they have reached over the last twenty years. If you look at the way they have averaged over the past fifty years, the overall rate of return increases to twelve percent. Bonds, on the other hand, are a safer alternative because they do not offer as high a rate of return. Additionally, when they drop, it is not a freefall in price either. Investing in bonds represents less unpredictability and smaller swings in either direction than what is usually expected with stock prices. Over the same twenty year span, the average return on bonds has stayed at about five percent. That is part of the reason why more investors prefer to keep their money in these types of investments for longer periods of time. Time is not the only major component of taking on investment risk. Understanding how to manage it is another part of the formula to help you ascertain how much risk you are ready to assume. There are all kinds of investment strategies to explore for managing your level of risk. You can’t eradicate the risks entirely. Though, you can at least manage them in ways that are pragmatic in serving your unique investment needs. Finding the right strategy that works for your level of risk tolerance while providing you with a satisfactory rate of return can be a real challenge. That is why it is beneficial to understand the many different avenues that you can take to strike the proper balance and serve both masters in equal measure. 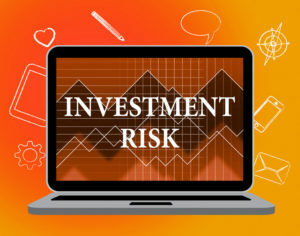 These are some of the terms and strategies you should become familiar with as you analyze how much investment risk you wish to take on. Allocation of your assets and diversifying them in your portfolio may sound like similar concepts but they are actually separate from one another. Allocating your assets to different types of investments such as stocks, funds, property, cash, etc, helps to maximize the potential of all your investments. The goal is getting the highest level of returns regardless of whether or not certain ones are performing as expected. 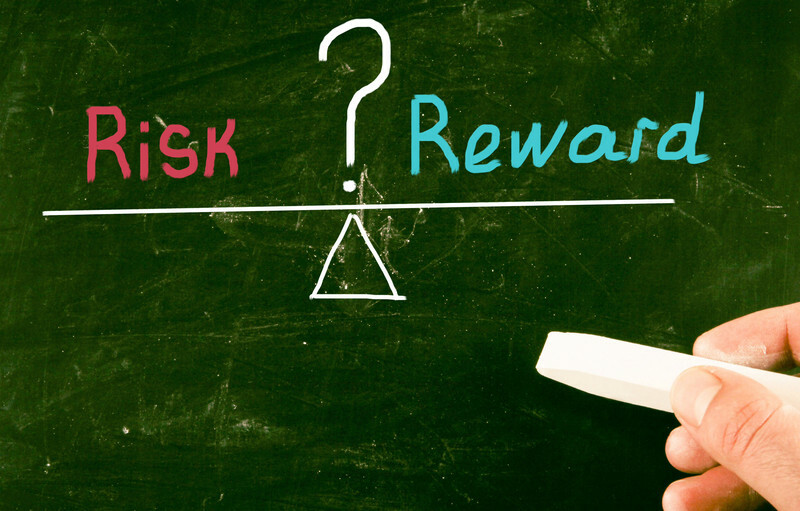 You are basically lowering your risk of huge losses across the board. This is done by not allocating all of your money into a certain type of investment, regardless of how well you expect it to perform. Therefore, you are not putting the majority of your money into real estate or stocks. Instead, you have divided it all evenly throughout your portfolio. The diversification part of the plan comes in allocating your money evenly among the different vehicles within each type of investment you have chosen for the portfolio. Thus, if you have included real estate in your portfolio, you want to diversify your assets into many types of real estate. That will ensure that you are always making a profit in some capacity within each of the types of investments you have chosen. It is the same with stocks. Do not put all of your money into one kind of stock, but rather choose a variety of them. For example, do not put it all into tech stocks, but rather find a combination of fields or industries in which to wisely invest. Still, there is more to it. You need to explore every opportunity that exists when it comes to certain classes of investments. That might be tough based on the amount of risk you feel comfortable taking on. Allocation of your assets is about finding that right combination of investments whether it is stocks, bonds, commodities, funds, or property. Developing a smart plan on both counts is by ensuring your rates of return are varied among the many different asset options you have decided to incorporate into your portfolio. We have already determined that past performance is not a reliable indicator of how a stock will perform in the future. The trends of performance can be useful to building the right plan. Putting your assets into a range of investments that have demonstrated varied results will also make a difference in the health of your returns. You should never have too much of the same thing in any capacity when it comes to building your portfolio. That makes the track record of an investment as important. This is due to the category and type of investment. Remember, the goal here is to make sure your investments are all performing at different levels of progress. One part of the portfolio is not living up to your estimates. Consequently, there are others that are meeting your expectations. That will help to offset some of the negative impact. When all of your assets are performing at the same levels, the value of your portfolio is rising and falling solely on the strength of the same trend. It is a surefire sign that you have not given enough thought to your investment strategy. Therefore, you may need to make a few changes here and there. Some may include a higher risk. Yet, if you have enough safer investments, you should be able to even it all out effectively. If you feel like you need to manage your risks in a somewhat more extreme fashion, here are two of the best options to do it. You can find ways to insure against loss by putting money into other investments that are more assured of a return. Hedging involves putting your money into a security for the express purpose of offsetting major losses that you might potentially suffer on another investment that you have in your portfolio. With these risk management methods comes higher degrees of liability. That is because they typically involve making risky choices that could pay off big but are based almost entirely on speculation. We have talked about all the factors that go into deciding how much risk you are willing to take on when it comes to investing. It is possible that after all of your financial assessment and long-term planning you just do not have the heart for putting large sums of money at risk. That is perfectly fine because you have a range of options that come with a minimum amount of risk while still offering the potential for higher returns. It is true that you tend to make more money when you put more of it at risk. However, there are still plenty of opportunities for anyone who is not ready to invest with the possibility of significant loss. That is due to the stock market ebbs and flows or if a certain type of investment sees a dramatic downturn. For those of you who are not prepared to take on a lot of investment risk, the first thing to consider is a money market fund. That is because they offer the best return on money that you are almost guaranteed never to lose. The lowest any share could possibly reach is a sum of one dollar. Therefore, the likelihood of your initial capital being lost is next to nil. While you are debating which low-risk investments are right for you, give some thought to putting your money into a certificate of deposit or CD. Not only is it one of the safest places to put your money, you can also see a pretty impressive return on it. Getting into one is easy. Most banks and credit unions offer them. Additionally, you can contact your broker to start your investment. They come with a fixed interest rate that remains locked in for the life of the term. It will never ever increase or decrease. Therefore, you may want to be strategic about rates before you pull the trigger. These investment products pay off greater the longer you leave your money inside of them. Every CD comes with a term for maturity. You must be prepared to keep the money invested until the account matures. If not, you could stand to lose some of your earnings due to penalties for early withdrawal. In contrast, if you don’t touch the money until that time, you are guaranteed to get your initial investment. That is in addition to the interest that has been earned over the duration of the term. These investments are offered by state governments for the purposes of raising money for state programs and municipal projects. Think of it as a loan when you are the lender and the borrower is the state government. There are many benefits to this type of arrangement. First, you will not have to worry about paying any state or federal taxes on the money. Additionally, you have the peace of mind knowing that your borrower has little chance of defaulting on the loan. Investing comes with risk, that has been well-established already. There is no need to pile risk on top of risk by continuing to hold an investment that is not just performing poorly, but it is losing money at a routine pace. For some investors, it is tough to know when to dump an investment. They cling to the hope (or fear) that it will bounce back and rally to a position that was far greater than when they bought into it in the first place. High hopes do not always equal high returns. As you watch that stock continue a slow downward spiral to the point where you have lost a majority of its worth, your decision to bail out has come too late to rescue the capital that you invested. Those who do not relish risk may consider dumping the stock as big a risk as getting into it in the first place. However, the key is to know when it is time to cut your losses. In doing so, you do not continue suffering further loss of your money. In reality, it is almost impossible to determine the best time to jump ship. Though, you also do not want to keep taking those hits on what is starting to look like a bad bet. Sure, rebounds do happen and stocks come back around. It might take a while and that is fine too. You have to know how to read those particular tea leaves or else. It is time to ask a few questions and it comes down to time yet again. How long have you been waiting for this investment to do an about face? How much longer do you plan to let it ride? Asking these questions is important because it can allow you to put your money into better investment alternatives to the stock market that may exist. Consequently, you do not know about it because you are too busy letting your money slowly dwindle in this current investment vehicle. Maybe you are going to wait until it breaks even. You may even forget about a return. You need to at least get the money back that you have lost. The goal is to know what breaking even will require with respect to how much you have lost and the time it will take to reach the point of being made whole again. Only you know how much risk you are prepared to take on. Assessing your financial and emotional risk tolerance are the first steps in identifying the best investment opportunities that can grow your wealth in the length of time needed to meet your financial goals. That can include retirement or saving money for other life events like going to school or buying a home. Your life plans can play a critical role in how much investment risk you can handle. Scott Langdon is an entrepreneur with over 13 years of internet marketing experience, and currently manages the personal finance blog BankingSense.com. He resides in Memphis, Tennessee.